Cherysh does the best doodles. 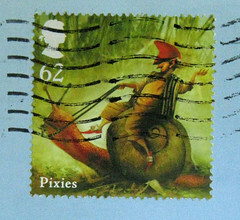 His letter wasn't at ALL boring, but I do love the magic shrew. 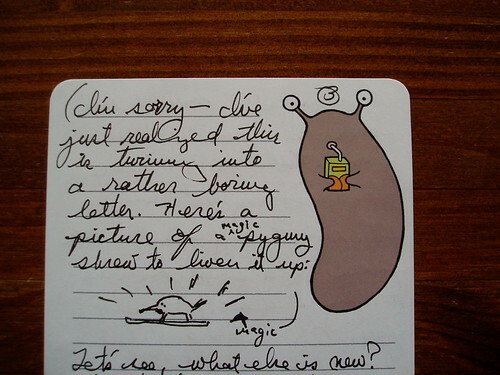 I gave him the juice box slug stationery. Mmmmm. Sluggy goodness.